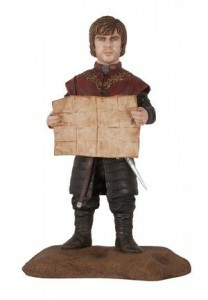 New Game of Thrones Deluxe Figures! 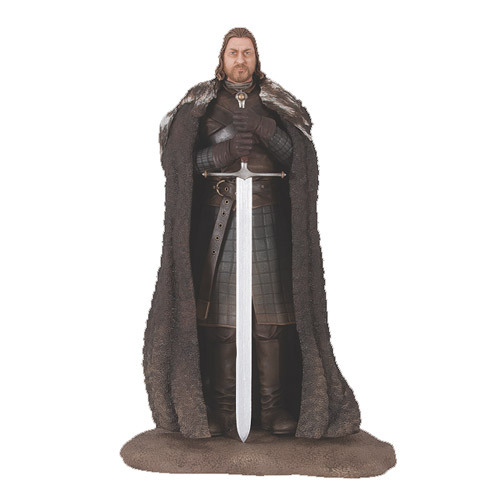 Game of Thrones Season 4 airs this April 6 and fans of the show will not want to miss these awesome figures just released by Dark Horse Comics! On sale Wednesday 3/26, the latest additions to the series include: Ned Stark, Tyrion Lannister, and Khal Drogo! This entry was posted in General Info on March 26, 2014 by admin. New Out-of-Print Trade Paperback & Hardcover collection just in! 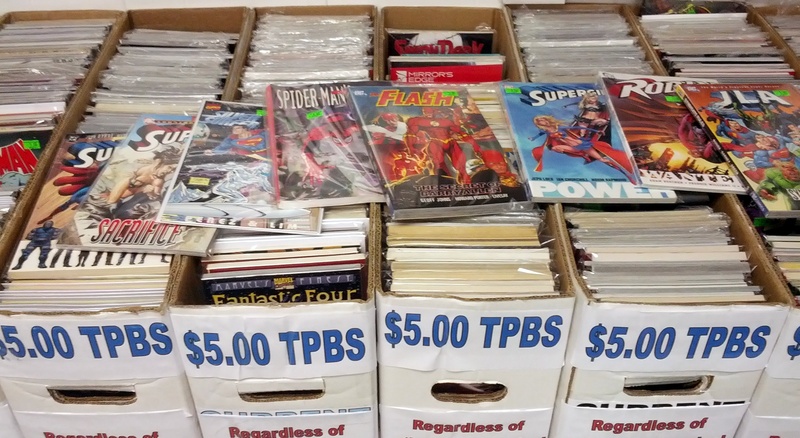 As part of a large collection of comics/toys/statues we recently purchased, we just sorted out over 200 out of print paperbacks, hardcovers, Elseworlds, & prestige formats from the 90s/2000s! 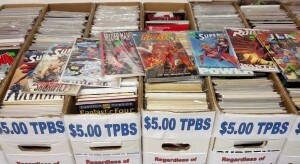 Most of them have been added to our $5.00 paperback/$10.00 hardcover section! Come check ’em out while they’re still here! This entry was posted in General Info on March 19, 2014 by admin. 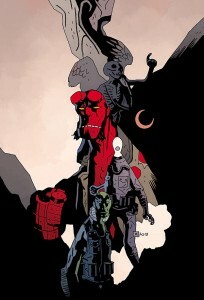 March 22nd is Hellboy Day! We will have some free Hellboy giveaways available (while supplies last!) 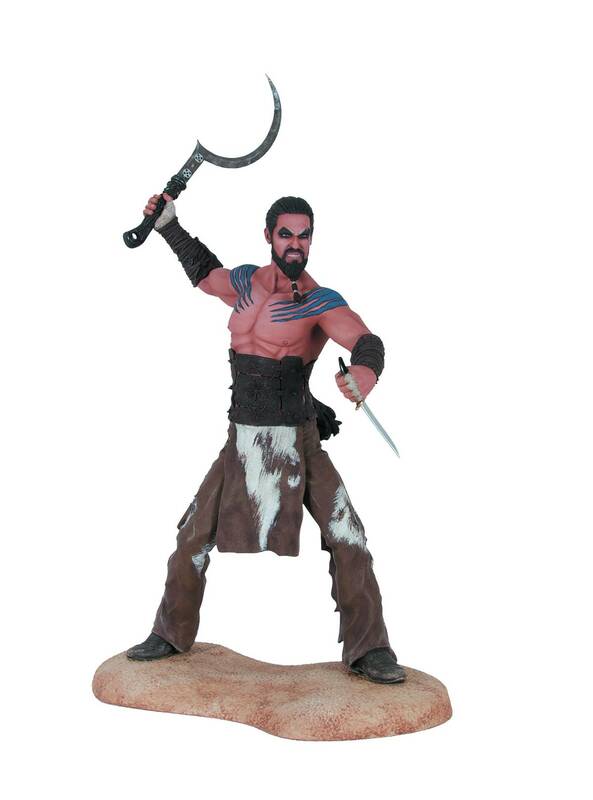 to celebrate and we’ll also be running a sale on any Hellboy and Hellboy-related merchandise! 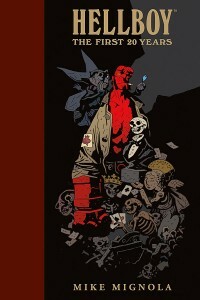 All Hellboy comics and graphic novels will be 25% off! Includes any single issues as well as the paperback collections (Abe Sapien, Lobster Johnson, & B.P.R.D. titles too!). Hellboy fans, come down this Saturday and show your support! New Releases for Wednesday 3/19/14! JAN140126 	ABE SAPIEN #11 	$3.50 Shorted this week, will be in stock next week! JAN140177 	STAR WARS #15 2013 ONGOING 	$2.99 Received damaged copies this week, replacements available next week! JAN140375 	ASTRO CITY #10 	$3.99 old out! Join our free subscription service, never miss an issue! OCT130604 	INVINCIBLE #109 	$2.99 Sold out! Join our free subscription service - never miss an issue! This entry was posted in General Info on March 12, 2014 by admin. This entry was posted in General Info on March 5, 2014 by admin.